In 2001 Jens met Guruji for the first time and has made annual trips since 2003 to study at KPJAYI in Mysore. In 2011 and again in 2018 he has had the honor to assist his teacher Sharathji in the shala in Mysore. He has taken part in the special courses for invited teachers in 2009 and 2014. Furthermore, he studies chanting, philosophy and sanscrit during his stays in India. 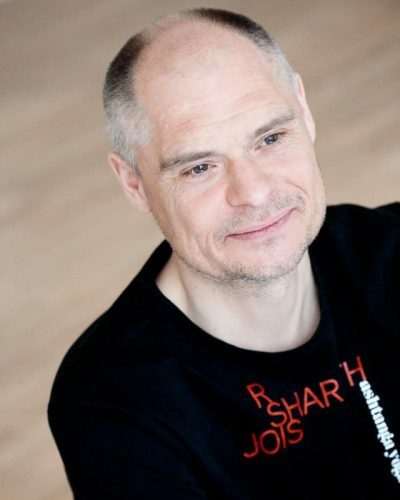 Jens met yoga for the first time in 1997 at UC Berkeley and in 1998 he became part of a small group of Astanga practitioners in Copenhagen and he also started to travel around Europe for workshops and retreats and also organized such in Denmark. Jens is together with Susanna Finocchi the founder og Astanga Yoga Copenhagen and founder of Astanga Yoga Skole København. On a daily basis Jens studies Indology at the University of Copenhagen, learning sanscrit and translating the classical Indian texts under prof. Kenneth Zysk. He has a well-established relation to the Indian embassy in Copenhagen and was in the Fall of 2017 representing Denmark at the “International Yoga Conference for Wellness” in New Delhi with a presentation on “Yoga in Denmark”. He was part of the work group in relation to the International Yoga Day in 2018 in Kongens Have, organized by the Indian Embassy, where he presented Astanga Yoga. Susanna is authorized, level II, by both Sri. K. Pattabhi Jois and R. Sharath Jois from KPJYAI Mysore in India. She started practicing in 1993 and thus has more than 25 years of experience as a practitioner and 21 years as a teacher. Susanna is together with Jens founder of Astanga Yoga Copenhagen and has from the beginning taught daily in the shala on Vesterbrogade and she has been the main power in the teaching all those many years. She was already in Mysore in 1995-96 and has since 2003 made annual trips to KPJAYI to deepen her practice. Susanna has studied sanscrit at the University of Copenhagen and also studies sanscrit, chanting and philosophy during her stays in Mysore. Today, Susanna has her base in her hometown, Rome, from where she travels around Europe to teach workshops to dedicated practitioners of Astanga yoga. 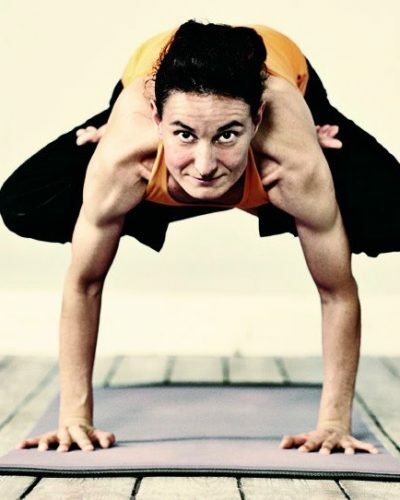 She still has a close relation to Copenhagen and through many years of teaching given significant input to the Astanga yoga environment in all of Copenhagen.